In July 1987, I made a public spectacle of myself at a rural auction, though I still consider the outcome worthwhile. I had my eye on an antique, hand-forged broad axe that day, and in the buying frenzy I upped the bid on myself several times without realizing it. Part of the reason for my enthusiasm was not just because of the axe’s unique shape and the plans I had for hewing pine logs into beams. The axe intrigued me because of its hand-forged history. Good tools, made one at a time, with skill and patience, are a rare thing, and act as powerful springboards for the imagination. What did the blacksmith have to eat for lunch on the day he made this axe? What kind of a person was he? Did he have kids? A wife? When did he die? What became of the shop where he worked as mass produced axes took over the market? 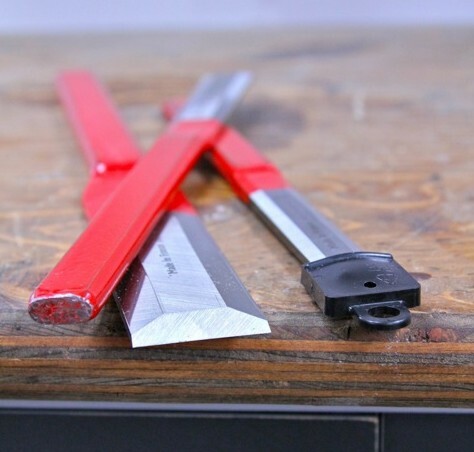 Although it’s almost impossible to find brand new tools that include such old-time connections to the real people who made them, such things do still exist. And that’s why I like a company called Gransfor Bruks. It’s a century-old, family-owned Swedish firm that makes hand-forged axes of the highest quality. This good news story includes three things that excite me: great tools, a real craftsmen behind each tool, and an environmentally-responsible philosophy woven into the manufacturing process behind each axe. My Gransfor Bruks axe is an absolute pleasure to use. I bought it twenty years ago from Lee Valley Tools and it’s become my favourite tool for limbing beaver-felled poplars I cut into firewood. 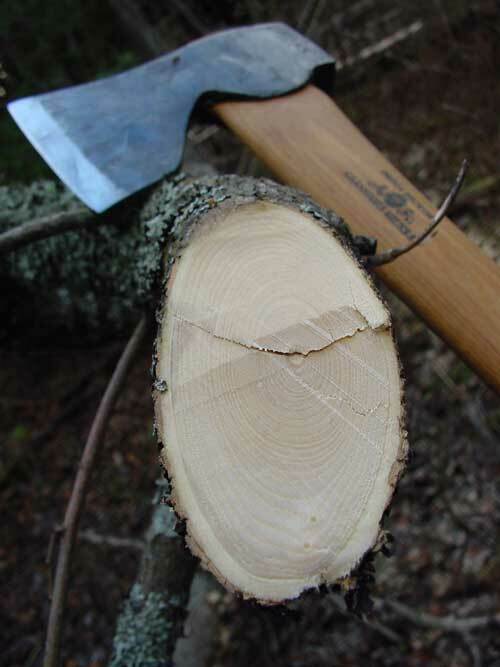 One or two strokes is all it takes to slice cleanly through 2 or 3 inch diameter limbs. Each stroke is a boost to the ego. The axe also includes a visible connection to the craftsman who made it. Kjell Ake Sjolund, one of nine smiths who work at the Gransfor Bruks shop in Halsingland, 340 km north of Stockholm, stamped his initials into the head of the axe as a final sign that it met with his expert approval. And if all that wasn’t enough, the tool not only brings joy and beauty, but is also made to have a low environmental impact. In fact, Gransfor Bruks hand-forged axes consume only half the energy that their mass-produced models did when they still made them the modern way, up until the late 1980’s, just before the company restructured their process by stepping back in time. When chainsaws became popular as commercial logging tools in the 1950s, the bottom fell out of the axe market. 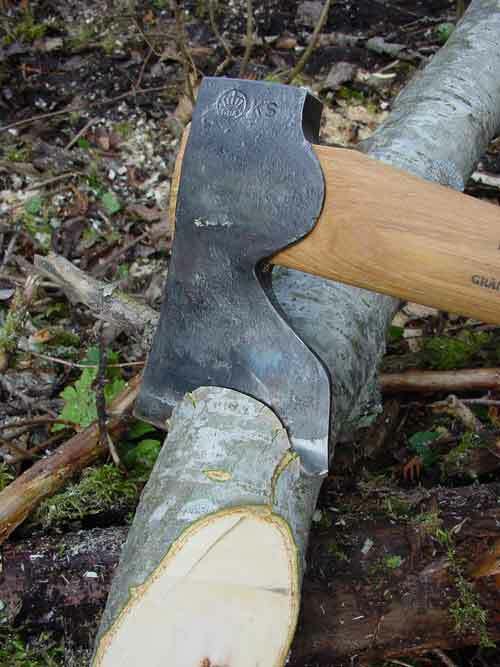 And like other axe makers, Gransfor Bruks cut costs and boosted industrial efficiency in an effort to stay alive. Factory workers were paid by commission on their output, axe design was changed to fit the machinery doing the work, and axes were ground, polished and painted to hide imperfections, resulting in unnecessary pollution, both inside the plant and out. Uncomfortable with the fundamental error of this approach, Gransfor Bruks management decided to de-modernize their company in 1989 by returning to optimal axe design, with each tool forged individually by a skilled blacksmith. Sounds idealistic? Perhaps at first, but not when you realize that today’s axe users operate quite a bit like 18th century peasants. So why shouldn’t axes be made to suit? Think about it. Who uses axes today? Not commercial loggers, that’s for sure. It’s little guys like you and me who cut 10 or 20 cords of wood a year; people who appreciate the physical experience of getting fit while using hand tools to do useful work; hobby woodworkers who like to wander into the forest with nothing and come out with a chair or a bench or just a great walking stick. And that’s the market that Gransfor Bruks aims to serve with axes that carry a 20 year warranty, both handle and head. All this, and you don’t have to embarrass yourself at a country auction to buy an old antique, either.